ROSSIGNOL is collaborating with ZEISS Sunlens technology to provide high quality goggles and enable you to ride better, faster and safer. 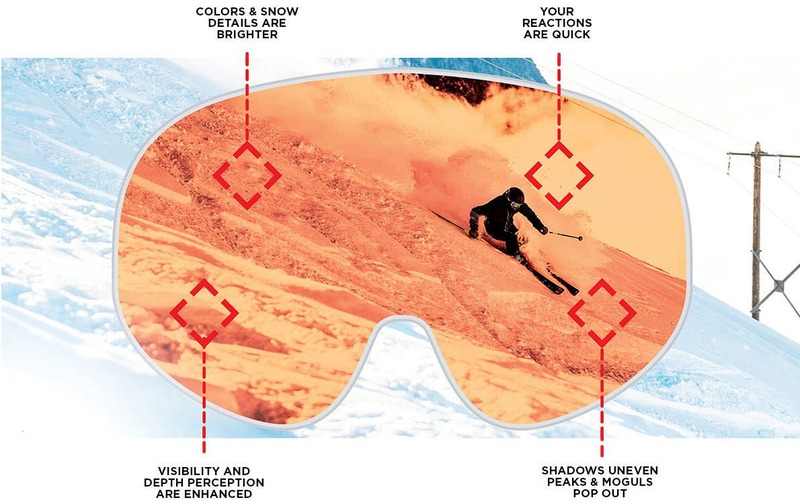 Sonar technology designed by ZEISS is a contrast enhancement filter especially developed to brighten snow details and boost depth perception on the snow. Shadows, uneven peaks, moguls, ever changing terrain and potential dangers become more clear and defined. This premium technology allows you to navigate the ever changing conditions for a better anticipation of potential risks, to increase safety and performance. Rossignol cylindrical lens offers a horizontal goggle curvature. It allows for a larger field of vision making your descent more comfortable. Spherical lenses have both horizontal and vertical curvatures, which follow the shape of the retina. This technology eliminates optical distortion. The Toric lens is similar to the spherical lens; however, it is characterized by a differentiation between its horizontal and vertical radius of curvature which allows a better lateral field of vision while retaining the goggle's compact dimensions. Rossignol and Zeiss have pooled their expertise to develop a Toric lens to improve field of vision, optical performance and comfort. This innovative feature opens up a very wide field of vision, while retaining ideally compact dimensions ensuring a perfect fit with a helmet. The density and quality of the foam are important factors to consider. 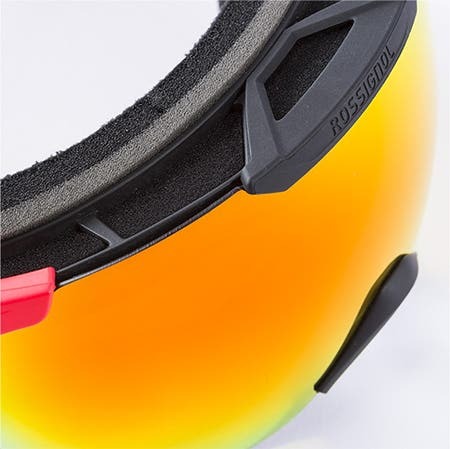 Featuring single or double-density foam, Rossignol goggles stay securely in place and feel comfortable to wear thanks to the very soft fleece covering.